When you place a load of wet clothes in your dryer and turn it on, the dryer fans pull air into the machine and through a heating element. The heating element heats the air before directing it into the clothing tumbler where the heat helps dry your wet garments. If your clothes are taking longer than normal to dry or you notice that your dryer is no longer heating the air, the dryer may have a faulty heating element. Save money by replacing your clothes dryer's heating element yourself. Another factor that influences the cost of replacing a dryer's heating element is whether you install the unit yourself or hire a professional to install it for you. If you hire a professional, you must not only purchase the part but also pay an installation fee. If you decide to save money and install the part yourself, you must determine where the old heating element is on your dryer and remove it. Depending on the type of clothes dryer you own, the heating element may be located either in the front or back of the appliance. Once you have determined where the heating element goes, remove the dryer panel that houses the heating element. Disconnect the wires and clips connecting the old heating element to the dryer and install the new one in its place. Unplug your clothes dryer before attempting to remove the old heating element or install a new one. If you do not unplug the dryer, you risk electric shock when disconnecting the nonfunctional heating element. If your clothes dryer is powered by natural gas, turn off the gas valve before attempting repairs. Depending on how long ago you purchased your clothes dryer and the brand of your appliance, your dryer may still be covered under warranty. If your dryer is under warranty, the manufacturer will cover the cost of purchasing and installing a new heating element. Do not make repairs to your clothes dryer unless you are certain that the appliance is no longer covered by a manufacturer's warranty. 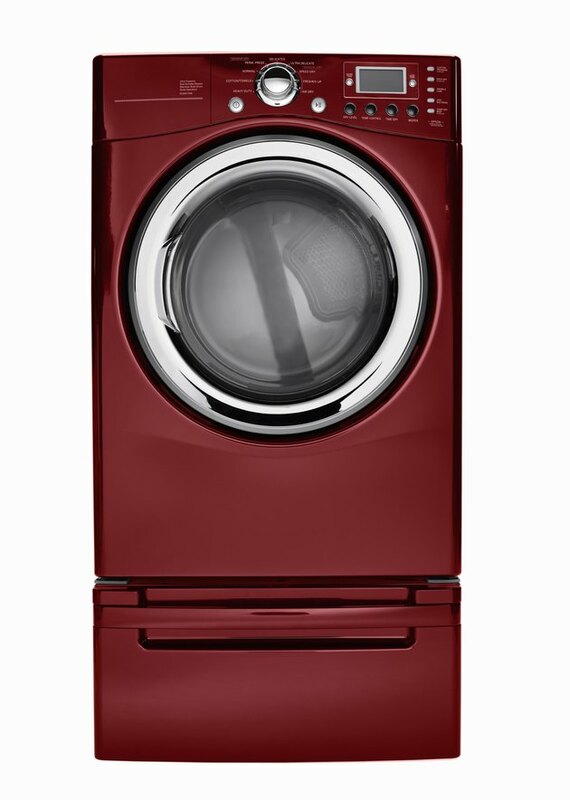 All appliance warranties vary, but working on the dryer yourself can void an existing warranty. Just because your clothes dryer stops heating the air does not mean the heating element is faulty. Part of the cost of repairing your dryer comes from having an appliance repair professional come to your home, inspect the dryer and diagnose the problem. Without a professional diagnosis, you could waste money purchasing a part that the dryer does not need.